and garage door services for businesses and residences. We are experts at providing excellent Seattle locksmith, security and garage door services for businesses and residences. 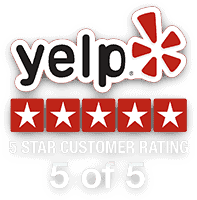 Feel confident knowing Sevan Locks & Doors is a BBB accredited business with an A+ rating and only 5-star reviews. In-house, Seattle car, home and emergency locksmiths are licensed and bonded in the state of Washington. Plus, customers receives the best extended warranty with every service to guarantee our work. Our customers remember us by how we treat them, not by a catchy slogan. We can help with any locksmith problem in Seattle, from car to home services. Being a family owned and fully homegrown locksmith and security company in Seattle, we know what it’s like to live and breathe through every challenge . We know this place, and we definitely know the people – and that’s what gives us the confidence to service customers like you! Our team of professionals work with commercial and municipal clients to ensure compliance with school security requirements, fire codes, and other necessary regulations during every emergency, car or home locksmith call in Seattle. Quality hardware stands up to any compromising situation. Ongoing training and education mean our locksmiths continue to improve their service and skills. Experience the difference of working with car and home locksmiths in Seattle who pay attention to detail. Being a family owned and fully homegrown locksmith and garage door company, we know what it’s like to live and breathe through every challenge in Seattle. We know this place, and we definitely know the people – and that’s what gives us the confidence to service customers like you! Our team of professionals work with commercial and municipal clients to ensure compliance with school security requirements, fire codes, and other necessary regulations. Quality hardware stands up to any compromising situation. Ongoing training and education mean our locksmiths continue to improve their service and skills. Experience the difference of working with locksmiths who pay attention to detail. Our car keys are made using original diagnostic tools for programming. Customers in Seattle get key copies that work right away. We use only high quality, UL listed and ADA compliant hardware that meets fire code requirements. Sevan’s home locksmiths in Seattle provide custom made door security hardware for condos and apartment buildings that you can’t find in your local hardware store. Sevan Locks & Doors provides the best extended warranty with every service to guarantee our work. Whether it is a home, a car, garage door installation or repair, our Seattle locksmiths can help. Customers want quality garage doors for total security and notable curb appeal. Our garage door services include garage door replacement and the best garage door opener options. Customers choose garage doors and openers to suit their unique requirements and budget. Our professional team offers experienced advice and dedicated service for complete satisfaction. Customers consult with our licensed, experienced, and well-trained garage door technicians to determine the best solutions. No job is too big or too small for our team of Seattle garage door experts. We protect our reputation by protecting your safety and security at all times. Every our garage door passes quality inspection before installation. We test every garage door opener before installation to ensure it’s safe and smooth operation. Sevan Locks & Doors uses only high quality garage door parts and lubricants to prevent rust and corrosion. We provide up to 20 years warranty for the doors and openers were installed by Sevan Locks & Doors. When you call Sevan, an experienced Seattle locksmith technician answers the phone. Not a receptionist or a call center. Our business is always about what we can give, not about what we can get! When we commit to a project, we always handle it at the highest level. Our car, home locksmith and garage door services in Seattle may not always be the cheapest, but nobody will work harder to make you happy and earn your trust. We’re constantly investing in the latest technology tools and continuing education to improve our services and skills. Our reputation is important to us. We use only high quality and ADA compliant hardware that meets fire code requirements. Useful tips on our social media feeds and free technical support. Technician was responsive, timely and provided excellent fast service. I was about 15 minutes late for our scheduled appointment due to traffic and he was completely understanding, providing perfect customer service with a great attitude.